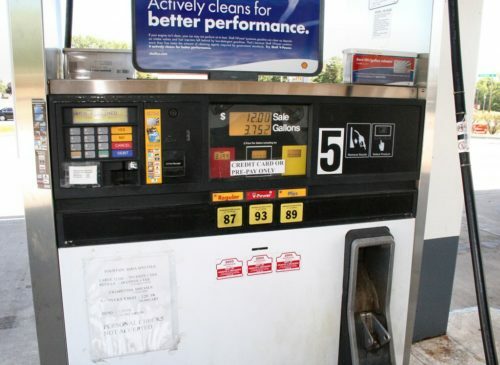 We imagine we’re no different than the average driver, which means for the most part, we’re never happy when we fill up our tanks with gasoline. Unless of course, we’re paying less because fuel prices are on a downward trend, as they have been since they peaked right before the start of summer. Despite the falling prices, we’ve expected an increase in gasoline prices for a few reasons, including the Thanksgiving holiday being just a week away from today and increased demand for gasoline, as American consumers continue to travel via automobile at ever-increasing rates. And yes, we still think travelers are in for sticker shock at the pumps next weekend. What we weren’t expecting was the price of crude oil hitting a five month high, which it did yesterday, closing at over $100 a barrel for the first time since July. At the end of trading yesterday, U.S. crude oil prices had risen by $3.00 to $102.59. Brent crude closed at $111.67. The gains in prices represent oil making a complete recovery from the slide they’ve been experiencing throughout summer and autumn. ExxonMobil drilling inside Iraqi’s Kurdistan region. The effort by Iran to develop nuclear weapons. Potential for Iraqi civil war. U.S. troop withdrawal from Iraq. According to the United States Energy Information Administration, crude oil makes up 63 percent of the cost we pay for a gallon of gasoline. Thus, if current crude oil pricing continues moving higher, gasoline prices will soon follow suit.